A new self catering accommodation portal for the Lake District. Listing only the very best self catering cottages and agencies in the Lake District and Cumbria, the UK’s newest UNESCO World Heritage Site. 16 million visitors a year is confirmation. 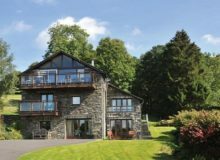 As well as self catering holiday cottage listings, you’ll also find a “One Stop Shop” guide to the Lake District with restaurants, pubs, walks, activities and spas.